"Among the home team, Getaway Trump is an interesting entry, who could well be sent off a bigger price than he should after getting turned over at odds-on last time." 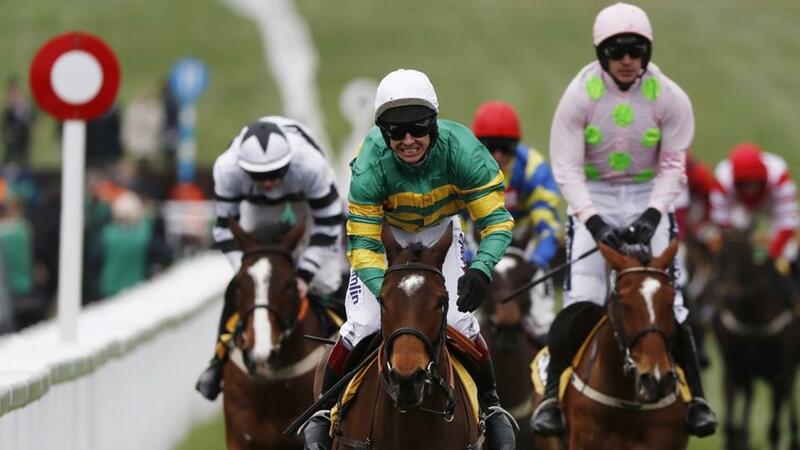 Cheltenham Gold Cup day is set to start with one of the shortest-priced favourites of the week, in the shape of Sir Erec in the Triumph Hurdle. And unlike last year's Triumph, in which Apple's Shakira was turned over at 6/5, Sir Erec looks to have the form to back up his position in the market. He quickly developed into a smart stayer on the Flat for Aidan O'Brien and has been an impressive winner of both his hurdling starts since joining his son Joseph. 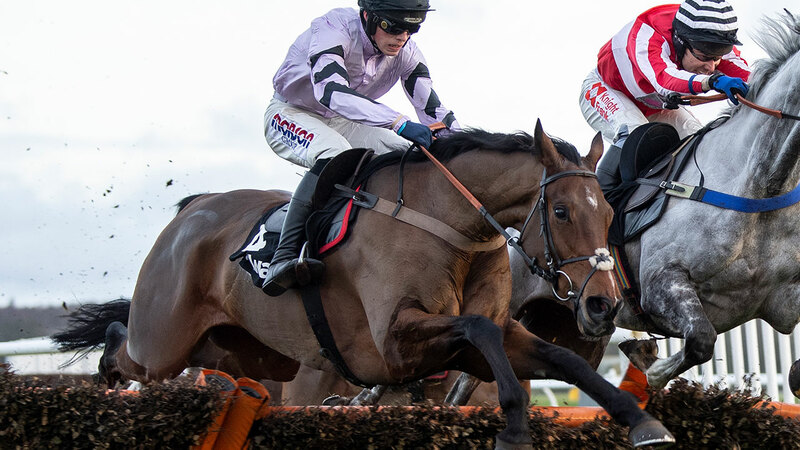 With his stable companion Fakir d'Oudaries set to tackle the Supreme and the most promising British-trained juvenile Fusil Raffles forced to miss Cheltenham, the opposition to him is not the strongest. Perhaps the main threat will come from Pic d'Orhy, if he takes his chance (likely to if the ground is soft). Pic d'Orhy showed smart form in France, finishing second in the top three-year-old hurdle in the autumn, and has since joined Paul Nicholls. The Albert Bartlett Novice Hurdle has a rather more open look to it, with a quartet of useful novices vying for favouritism. The chief Irish-trained contender appears to be Commander of Fleet and he looks set to relish the even longer trip, having stepped up to two and three quarter miles to score at Grade 1 level at Leopardstown last month. He is, though, a bit short on experience for a race that can be a real hard slog for young hurdlers. The same might also be true of the very promising Nicky Henderson-trained pair Birchdale and Dickie Diver, who have had even fewer starts, just two each over hurdles. The most experienced of the market leaders is Lisnagar Oscar, who was seemingly much improved when winning a Grade 2 at Haydock last month. That's the best bit of form in the race, in theory, though the race wasn't anything like the test of stamina that Friday's race is likely to be. Only sixth behind Lisnagar Oscar at Haydock, Stoney Mountain could be a surprise package in the Albert Bartlett. Stoney Mountain was done for speed at Haydock, but he's looked a real stayer in all his races over hurdles and this stern test of stamina could draw significant further improvement from him. The rest of the card is mostly handicaps, with the County Hurdle and the Grand Annual both featuring ante-post gambles as clear market leaders. Wonder Laish heads the County market, after getting no luck in running when well fancied for the Ladbroke at Leopardstown. He had won his previous two starts and was looking on the upgrade going into his last race. It's a shame the Ladbroke third Ivanovitch Gorbatov is unlikely to run, ruled out due to his handicap mark, as he actually looks pretty fairly treated on the pick of his form and would be suited by the run of the race. Among the home team, Getaway Trump is an interesting entry, who could well be sent off a bigger price than he should after getting turned over at odds-on last time. That was in a small field at Kelso and can probably just be ignored. He had run well in the rearranged Betfair Hurdle at Ascot the time before, despite the run of the race not going his way. The County should be a much more suitable test for him. In the Grand Annual, recent Wincanton scorer Magic Saint is all the rage. He is relatively unexposed, but this will be a much tougher assignment off of a higher mark. Not Another Muddle would be a very interesting contender, but he looks unlikely to get a run at this stage. Bun Doran will get a run and is a likely sort to go well in the hurly-burly of a Grand Annual. The Festival concludes for the first time with the Martin Pipe Handicap Hurdle for conditional riders, a race which has some notable names on its roll of honour, most of them trained by Gordon Elliott or Willie Mullins. The Elliott-trained Dallas des Pictons is the current market leader and looks a likely sort for the race, though he is also entered in three other races at the meeting.